DMI Drilling Construction was incorporated in Washington State in October of 1991. Responsible, well-qualified, and experienced in most methods of drilling construction. We stand above the competition by offering you personalized service. Our proficient personnel and fleet of versatile equipment make us innovative leaders in all areas of drilling operations. We recognize that in order for you to be successful, you must put your best team in the field. We would like the opportunity to be a part of your team. 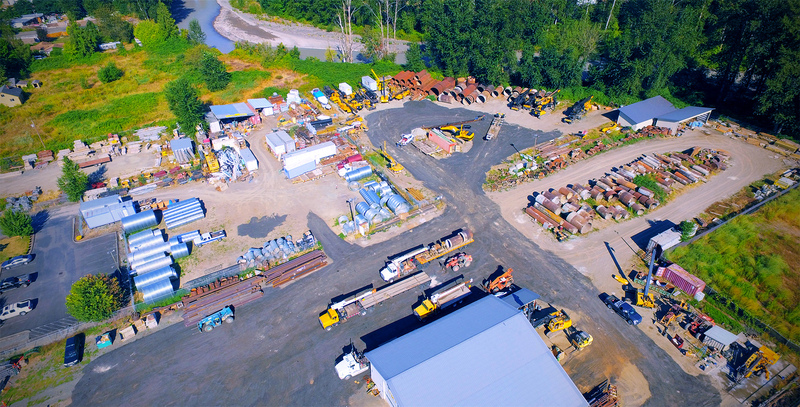 We maintain an inventory of steel casing, timber lagging, and other construction products in order to react timely to emergency situations. Our Founder, Donald Morin, has been in the drilling business since 1955; our Owner/President, David Morin, since 1978; and our Vice President of Operations, Ed Chappelle, since 1987. All of our operators/superintendents have 10 to 30+ years experience in the business. Resumes are available for all parties upon request. We work closely with both geotechnical and structural engineers to help provide an accurate and realistic bid, based on your design. We can also provide free site visits and analysis of your project requirements. We are interested in all forms of drilling-related construction, including but not limited to: excavation support systems, Soldier Beam retaining walls, landslide stabilization, shotcrete retaining walls, soil nail walls, secant walls, elevator jackshafts, underpinning and deep foundations for towers, transmission line foundations, pole structures and caissons. We specialize in difficult access situations and have the equipment and experience to drill almost any shaft. We offer a rental service if it is determined to be in your best interest. Should you wish to expand the scope of work, we have an experienced team capable of meeting the task. For example: concrete slabs, precast concrete panels, grade beams, walls, excavation, roads, etc. While we do not actively seek this work to avoid being in competition with your needs, we do offer this service if requested. It is our goal at DMI to construct your project as described in our proposal and for the price you have been quoted. We are dedicated to providing our clients with the highest level of service. Our inventory of equipment and expertise allows us to implement our services to fit the needs of your individual project. We would love to talk to you more about the needs of your project and how our services can best be applied to your individual needs. Our experienced team will be able to guide you through our offering of services and help you understand which types are best for you.